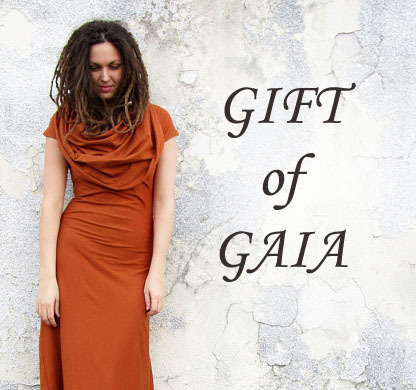 Maria is a contributor to our Gaia Blog, a friend, and an avid wearer of Gaia clothing. She travels to really great places and enjoys wearing Gaia on her travels. We asked her to do a little post about where she stayed and ate, what siteseeing she did, and of course what Gaia clothing was she wearing! In January my boo and I traveled to Cambodia. I’d wanted to see the temples for years, especially Ta Prohm, and my boo was game, so off we went! We spent 10 days in Siem Reap, the bustling town nearest Angor Wat and the surrounding temples. We stayed at a lovely, small hotel called La Niche D’Angkor Villa. It’s about 1km from the main road, so a bit off the beaten path, and quiet at night. There are only 20 rooms, so it has an intimate feel. The staff were wonderful, the pool was great, and the included breakfast was cooked to order. The view from our lanai. Ask for a room that opens onto the pool! Temple-hopping is the activity of choice when visiting Siem Reap. I knew there were temples other then Angor Wat, but I didn’t realize how many! It’s very simple to get around town. There are tuk tuk’s everywhere, and it’s easy to book one for a half or full day of temple visiting. These are just a few of the temples, and my favorites of the ones we visited. My favorite temple. Most of the overgrown trees have been left, and the visuals are so striking. This temple is popular with tour buses, so it was pretty full when we were there. Despite that, it retained an air of quiet when we did manage to elude the large groups of people. Gorgeous, and I wish we’d spent more time there. A quieter temple, at least the day we were there. Our tuk tuk driver said fewer tour buses visit Preah Khan. This temple had a very grounded energy to it, and there was always the sense that there’d be something surprising or mystical around every corner. I’ve seen so many classic images of this temple, it was odd to actually BE THERE. The Buddah carvings are many, and well-preserved. This temple was a bit more awe-inspiring, in a way, then the others. A client of mine who’d traveled to Cambodia suggested Viroth, and wow, I am so glad he did! We ate dinner there 5 of the 10 nights we were there. Yes, it was absolutely THAT good. In our wanderings, we happened upon Il Forno. I was not expecting to find great Italian food tucked away in a tiny alley near Pub Street, but there it was. Yum food, solid service, and a nice wine list. A bit expensive by Cambodian standards, but totally worth it. Hands-down best coffee in town is Gelato Lab - yes, that’s a confusing name! I can’t speak for the ice cream, but they know how to pull an espresso. And as with everywhere we ate and drank, service is impeccable. There’s a chance you’ll fly into Phnom Penh; if so, check out Le Grand Palais Hotel. We ate in the restaurant and it was freaking amazing. This image is in the restaurant, which has a ceiling that slides open, turning it into a courtyard. So cool. We didn’t stay in the hotel but absolutely would if we return. The building is gorgeous and the French inspiration is obvious. I insist on carrying-on my luggage when I travel, so accordingly, I pack lightly. January is winter in Cambodia, but the temperatures don’t drop much from their summer. We had high 80’s during the day, and down to high 70’s at night. Perfect! I was super excited to bust out some of my favorite warm weather pieces! The sites we visited are all active Buddhist temples. It’s requested that tourists dress conservatively, covering shoulders and upper legs. 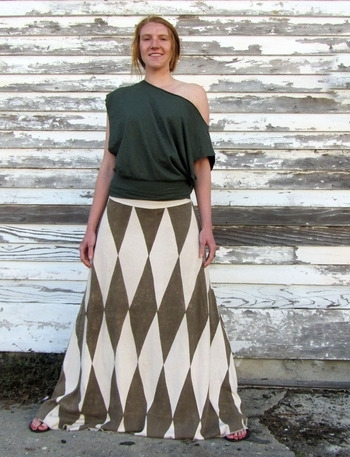 I decided to start with some love me 2 times gauchos in the light hemp knit, and build out from there with light layers. 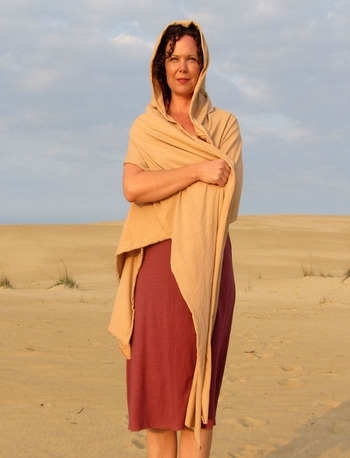 My Love Me 2 Times Wanderer gauchos paired perfectly with this tissue cotton Hampi dress to keep me cool and covered. My gauchos got a lot of play! They looked great with this Division Wander cropped shirt, also tissue cotton. I wasn't sure about the red and raisin combination but it totally worked! These Love Me 2 Times Simplicity gauchos were my other staple pants. I wore them with an older Gaia item that is super similar to the Tie Front Jacket with elbow-length sleeves (and again, in tissue cotton!). No packing list would be complete without one of my trusty Skorts. Here it's with a Tube Top and previous tie front top. In addition to these items, I added a Tie Front Jacket with long sleeves in the light hemp knit for cooler evenings, another Ribbed Tube Top to add to the mix, and a Love Me 2 Times dress for nights out. All the pieces paired with one another seamlessly, and in 10 days I never wore the same outfit twice. If you've ever considered going to Cambodia, DO IT. Siem Reap is laid back, the locals are gracious and helpful, and it was easy to get around. There were markets, boutiques, and we had no problem staying occupied for 10 days. We loved it and would definitely return!